HAMILTON, Ontario, December 21, 2011 /Canada NewsWire/ - Two different organizations have ranked Hamilton Health Sciences as one of Canada's and the world's leading research hospitals. ...SCImago, a European company that develops scientific information analysis and evaluation tools, has issued the third edition of its Worldwide Ranking of Research Institutions. Using large, scientific databases, SCImago analyzes quantitative indicators including output of scientific papers (particularly in influential journals), international collaboration, how often research is cited by other scientists, and thematic concentration. In total, 3,042 institutions were ranked this year. 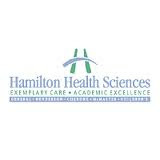 Hamilton Health Sciences (HHS) is a family of six hospitals, a cancer centre and an urgent care centre, serving more than 2.3 million residents of Hamilton and central west Ontario. HHS is affiliated with one of Canada's leading research universities, McMaster University, also in Hamilton. "These rankings are indicative of the strength of our researchers' collaborations within the city, across Canada and around the world," says Dr. Salim Yusuf, Vice President Research at Hamilton Health Sciences, Professor of Medicine at McMaster University and Executive Director of the Population Health Research Institute based at Hamilton General Hospital. "Our funding partners, our academic partners and our clinical partners have all contributed to our success in attracting resources to research at HHS - research that is impacting health care worldwide." "Hamilton Health Sciences is committed to advancing research and we are very proud of what our scientists and investigators have accomplished," says Murray Martin, President and CEO of Hamilton Health Sciences. "We believe in the value and importance of linking our clinical and teaching roles with the advancement of research. It's a vital contribution that hospitals should make to enhancing patient care for this generation, and generations to come." "We're very pleased, but not at all surprised, by the high ranking of our largest academic hospital partner, Hamilton Health Sciences," says Dr. Steve Collins, associate dean, research, Faculty of Health Sciences, McMaster University. "Our faculty members appreciate the hospital system's commitment to the best patient care by providing an excellent environment for high-impact research." "The recent rankings of Hamilton Health Sciences as one of the top national and international research hospitals recognizes its increasing pre-eminence," says distinguished cardiology researcher, Dr. John Cairns, who is also Professor of Medicine and Past Dean of Medicine at the University of British Columbia. "The research studies and the outstanding researchers of Hamilton Health Sciences are increasingly acknowledged world-wide. Clinical research lies at the very core of HHS, improving outcomes for local patients, but also for patients everywhere. I congratulate the investigators, the research staff, the hospital personnel and leadership, and the patients who make this research possible."